We had an incident this past week. A person filed a complaint with the BBB. In truth I was distressed to see the complaint. Then I read it. I actually called the person who filed the complaint to see if I could address any of his concerns. No, I didn’t call to sell him anything. I called to see if I could address any of his concerns, answer any questions he may have. Perhaps help him in is business. Much to my surprise (not really) he wasn’t interested in having his concerns addressed, his supposed questions answered. He certainly was not interested in promoting his business. I was disgusted when I got off the phone with him. Disgusted, but not surprised. Most folks that complain about other people who are working, and making a good living, are their own worst enemy. They refuse to get out of their own way; the result is a resounding failure in any venture they attempt. Many times both professional and personal. We’ve all met them, know some of them personally. The: it’s always the other guy’s fault, or this happened so I couldn’t, or he/she did this so I couldn’t. They spend their entire lives hopping around: the couldn’t button. When in truth, it’s not a couldn’t button at all; it’s a wouldn’t button. Understand the difference? What a person can do and what they will do is often two very different things. This is usually accompanied by an extremely negative mindset. In truth there is nothing you can do to change a person’s mindset. That is their responsibility. It boils down to their life choices. Yes I know the first impulse is “Oh but I can help them, they need help, let me help them” Don’t go there. You can not help them when they refuse to help themselves. You can hand someone a glass of fresh cool water, but if they refuse to drink it it’s their choice. You may have an entire reservoir of clean fresh cool water, and they will still die of thirst if they refuse to drink. You can not change their minds, the only person that can do that is the person in question. Yes I used to try to help them anyway, try to change their minds. No, I do not do that anymore. Jim Rohn has a wonderful response to this type of person. “Isn’t that interesting.” And he goes on his way. Move on, work with the people that want to work. Don’t waste your valuable time on those that do not. We all know them, an excuse for everything and everything is an excuse. “Isn’t that interesting” and move on. I don’t need to run after people to have them work with me, and neither do you. My time is valuable, and so is yours. Yes that’s what I said your time is valuable. As I was working this week I did think about the “complaint”. I know the enterprise I was referring to is excellent. That the training offered is extremely useful, to any business person. I’ve used many of the skills I’ve developed as a result of this training in my Ranch, Kennel business, and a variety of affiliate marketing projects. Actually this complaint resulted in: me reviewing the training I’ve received, the skills I’ve developed, the progress I’ve made in my business endeavors since taking advantage of the training offered. If I could honestly show a real way to put $10,000 or more in the bank within the next 30-45 days, would that be worth a few minutes of your time today? I suppose it is a challenge for some people to comprehend making $10,000 a month. Yes it’s realistic. Seriously working with the system $10,000 a week is realistic. Did I make $10,000 a week last month? Here’s the kicker, as a result of the valuable training I’ve received, note I said the training I received. Not system sales, just the training I’ve utilized. I had a $16,000 or $17,000 month this month. This month being November 2007. No I don’t know exactly how much came in, I haven’t closed out my books for the month yet. Am I going to show you some paypal statements or bank statements. Or photograph some pile of cash on an express mail envelope. No I am not. Showing those statements proves absolutely nothing. Except, that you can take a photo of a statement. Or can handle a graphics program, or have signed up for someone’s sales page that has already put the graphics together. In short, no I am not showing statements. It’s tacky and I’m not doing it. Can you make $10,000 a month working from home? Yes you can. Can you make $10,000 a week working from home? Yes you can. Will you make $10,000 a month? Ok-here’s the answer. I have absolutely no Idea. You tell me. Are you willing to do the work. Will you follow through. Will you make $10,000 a month, or $10,000 a week? Only you have that answer. What’s it going to be? The ball is in your court. By the way don’t forget to claim your F.r.e.e Upgrade to Traffic Splash! There is a surprise free bonus for joining too. P.P.S. Take a listen, you'll be glad you did. Jim is truly excellent. 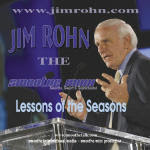 Jim Rohn Smoothe Mixx... Smoothe, Smart & Sophisticated The most powerful, and entertaining motivation, communication, training, and listening experience of the 21st Century. Produced using the amazing New Smoothe Mixx technology. There is something in the human being that is naturally attracted by music and you do not ...more.